C941dn (best-in-class high-definition color print quality, printing on diverse media, low running costs, print speeds of up to 50 ppm, toner yields of up to 38,000 pages, a recommended monthly print volume of 25,000 pages). B512dn (a monochrome single function printer, compact design, 47 pages ppm, 3 GB of standard and maximum shared memory, 1200×1200 dpi resolution, duplex printing, optional Wi-Fi capabilities). MB562w (a monochrome MFP, 47 ppm, 3 GB of standard and maximum shared memory, fast processing speed, a 7-inched LCD color touch screen, mobile print capabilities). 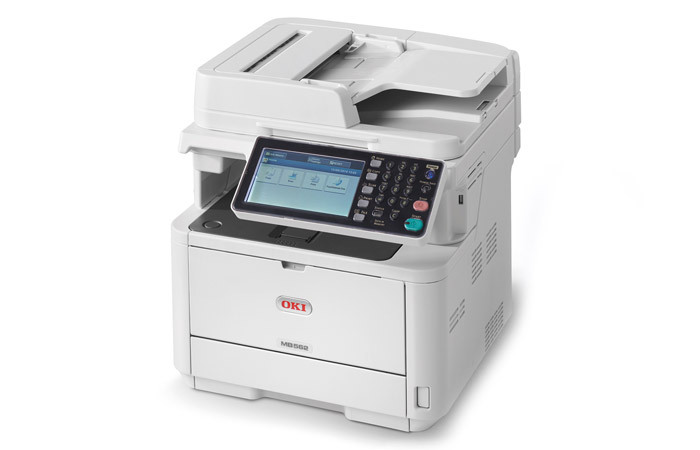 MC780 (a color MFP, a low cost per copy and low TCO, 42 ppm, legal flatbed scanner, high toner yields, OKI’s COREFIDO 5-year warranty and recycling initiative). Remark® Test Grading Solution that scans, processes, scores bubble chart tests and runs reports. PaperCut MF™ – a software solution helping save money on excess and unauthorized use by creating a secure and confidential environment. PrintSuperVision 4 Enterprise – a free web application for remote monitoring of any printer from any web browser on the network. The software monitors a device’s health, sends email alerts, reports supply status, tracks printed pages and even lets you order and track supplies online. This entry was posted on Tuesday, February 17th, 2015 at 9:23 am	and is filed under laser, OKI, printer. "Panasonic Workgroup Document Scanners for Enhanced Productivity"
"3D Printing In Art And Literature"